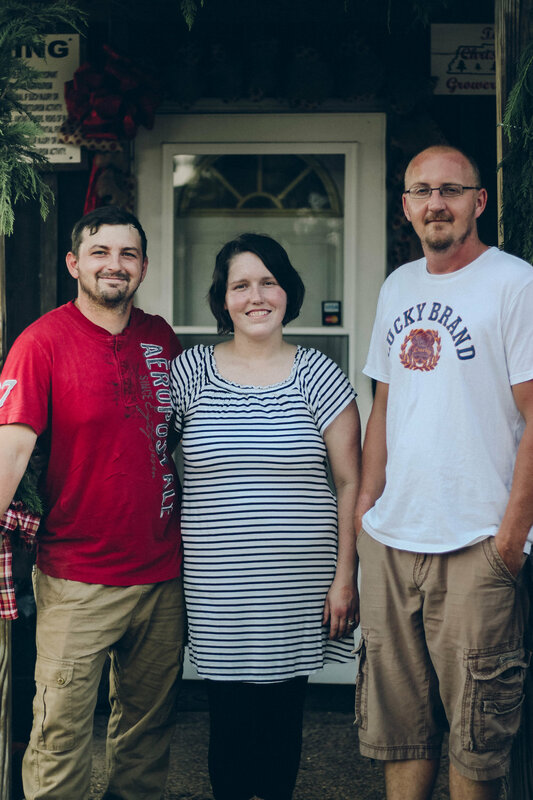 The Duncan family greets you as a soon as you arrive. At first you see a quaint gift shop atop a hill, and below to the left, you see a few rows of trees of the first farm. As your wonder begins to take over, you get closer to that tiny shop, and you notice they have hot cocoa for you to enjoy right there on the doorstep. You walk in, and the shop explodes with color and warmth. 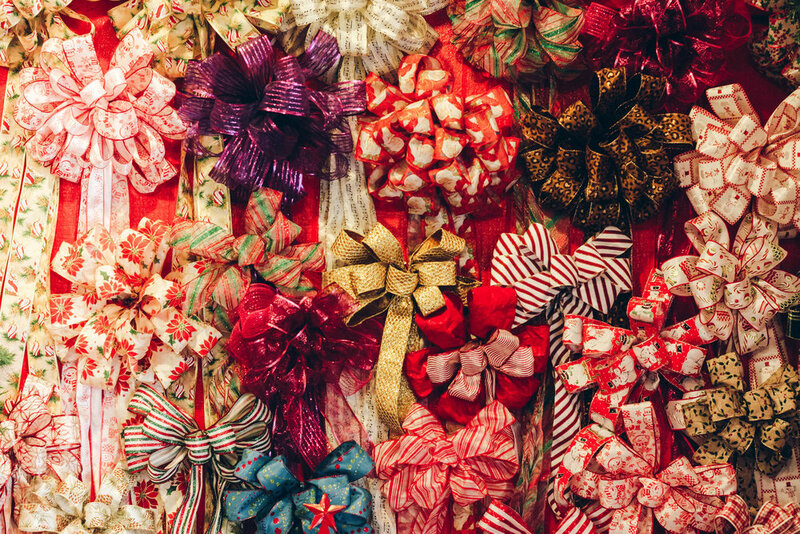 There are beautiful homemade wreaths, ornaments, and holiday decor that just seem to resonate in a place you’ve long forgotten. From inside, Mrs. Duncan will assure you that the trailer for the hayride will return from the other farms shortly, and she’ll invite you to hang out with her as long as you please. At this point, few things in life still give me the warm and fuzzies, but something about the crisp breeze of fall; leaves beginning to turn red, orange, and gold; and that youthful expectation of the holidays to come still carries me back to an innocence of wonder and delight. The holiday season calmly sweeps in as families begin their fall break treks toward a new destination or familiar home-away-from-home. It then carries over to dressing up as your favorite character, ghoul, or goblin and visiting places that, as a child, seemed much eerier than I care to remember. Then suddenly, it speeds up as though someone is hurling you faster through time. The days grow shorter, and our sleeves, longer. You reach that ever-thankful fourth Thursday in November, where it begins to really set in. Distant yet familiar faces come together to create a sense of belonging, a happiness and warmth that seems unblemished in time. Oh, and don’t forget the food! One of the few times of the year where you can be as gluttonous as you so choose and not feel a fleck of guilt. But then something happens: Christmas. 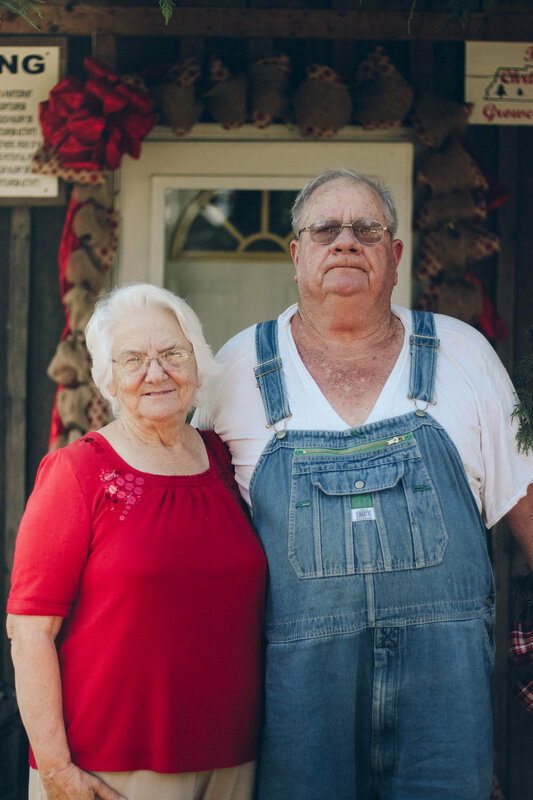 The Duncan Christmas Tree Farm was started in 1998 by Charlie and Elizabeth Duncan, where the next generations of family members now support and manage the farm. 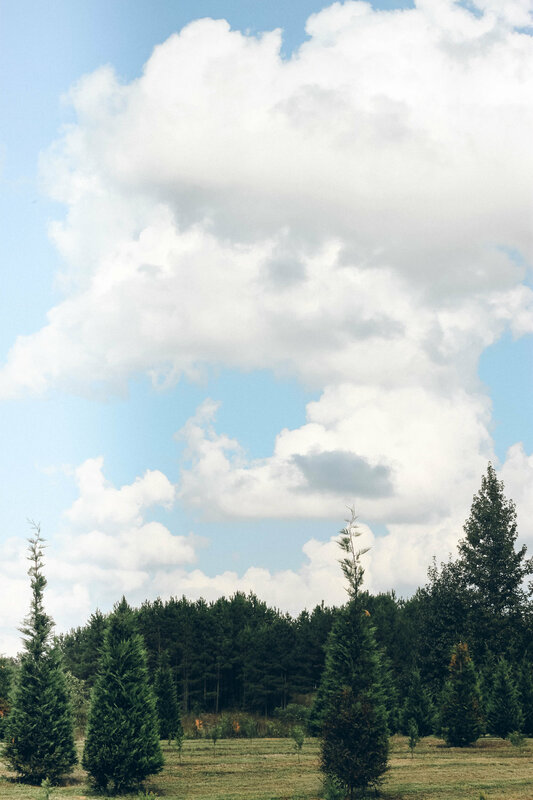 The farm itself grows a beautiful variety of trees which includes Leyland cypress trees, Carolina blue ice and sapphires, Virginia pine, and cedar. They also have a special delivery of North Carolina firs that arrives the weekend before Thanksgiving. Families may go as early as November 1 to pick out their tree, and they will open for normal business and pick ups Thanksgiving weekend. 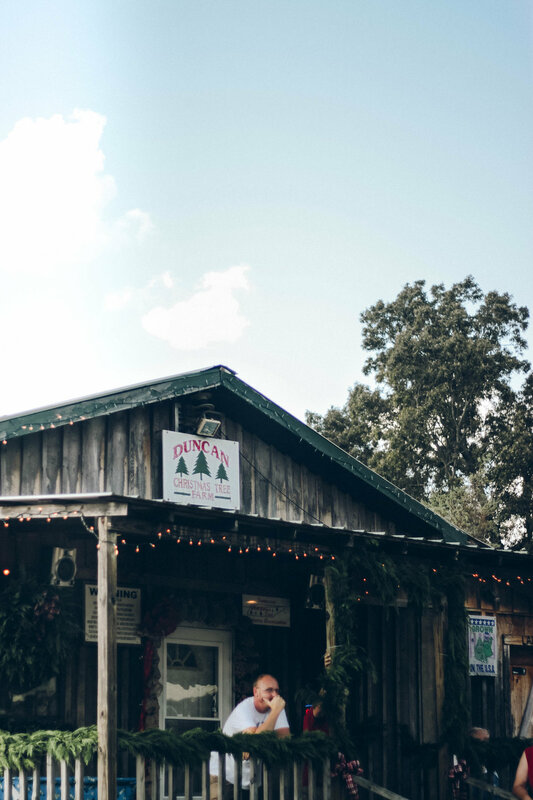 For the last nineteen years, my family and I (along with many other McNairy Countians) have kept our family tradition of visiting Duncan Christmas Tree Farm in Selmer. It has been the site of that tradition since I was a little boy and is now the place I carry my own little boys! It’s a place where a child can run, play, take a hayride to see the massive array of trees both large and small, and visit the gift shop to get the year’s anointed ornament. For parents, it’s something different. It’s that connection you hope will never end. Your child’s excitement and love burst into the atmosphere with no reserve. Then, as promised, your chariot awaits! When the trailer pulls up, you load up for what seems to be a normal hayride. Mr. Duncan will take count, making sure he has enough saws for the journey. You might ask if there are any other staff that go to help him with the load, and your answer is absolutely not! [Insert initial reluctance here.] But you just relax and go. As you reach the different farms, which all grow different kinds of trees, you’ll depart the trailer, grab your saw, and then . . . well, you get to cuttin’. You go up and down rows looking for that perfect shape, color, and height. Then suddenly, out of nowhere, one of these trees will catch your eye. Then you put that very same saw given to you by the Mr. Duncan to work. After your tree is cut and your ride comes back to pick you up, you take it back up to that quaint little shop atop the hill. There, they will shake it, wrap it for easier handling, and you’re all set. Your project continues as you attach that newly anointed ornament and decorate your freshly cut family Christmas tree. As you carry on, you begin to realize that this feels like something you’ve been missing for a very long time. Duncan Christmas Tree Farm is located at 186 Hester Road in Selmer. To learn more, visit their Facebook page or call them at 731.645.5769. Jeremiah Coggins is an Executive Recruiter specializing in helping companies and candidates find one another in this crazy career world. Jeremiah has two sons, Cason (8) and Brennan (6), who keep him extremely active. He and his boys stay busy in the sports arena, attend Englewood Baptist Church, and love to stay fit.